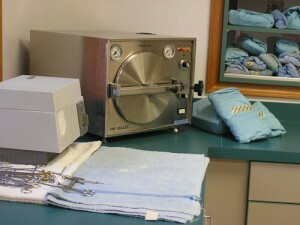 Our sterile operating room in All Creatures Veterinary Hospital is where all of our surgical procedures are performed. All anesthetized patients are carefully monitored using the modern VetSpecs cardiac, blood pressure, and pulse oximetry machine. 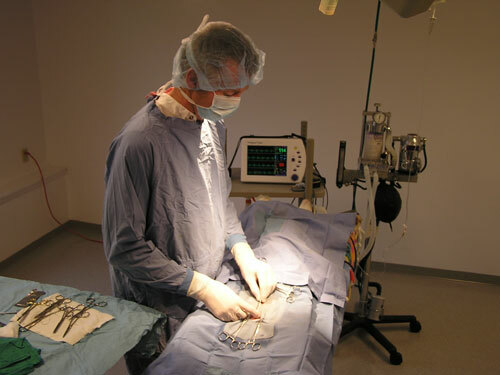 A surgical pad with heated water circulation maintains patient body temperature. 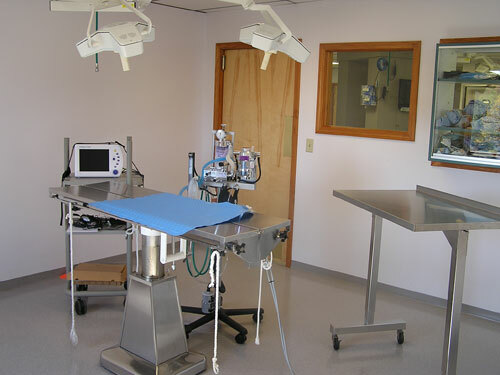 The surgical area also includes a prep area where separate instrumentation for both soft tissue and orthopedic procedures is carefully sterilized to ensure your pet’s safety.